Dark Horse Comics just released — for free — the first of four parts to the EVE: True Stories graphic novel. You'll need to create a Dark Horse account and then it's viewable on Dark Horse Digital, or downloadable to the Dark Horse iOS and Android apps. 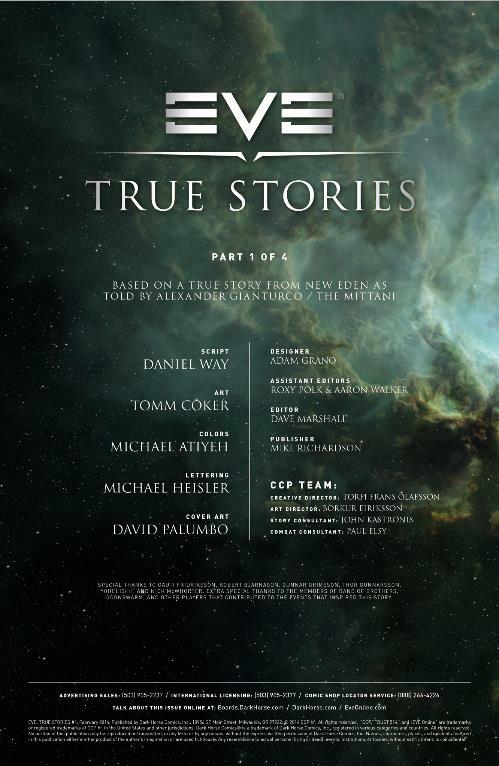 Each of the EVE: True Stories is based on player-submitted stories of in-game events from massively multiplayer online space sim, EVE Online. 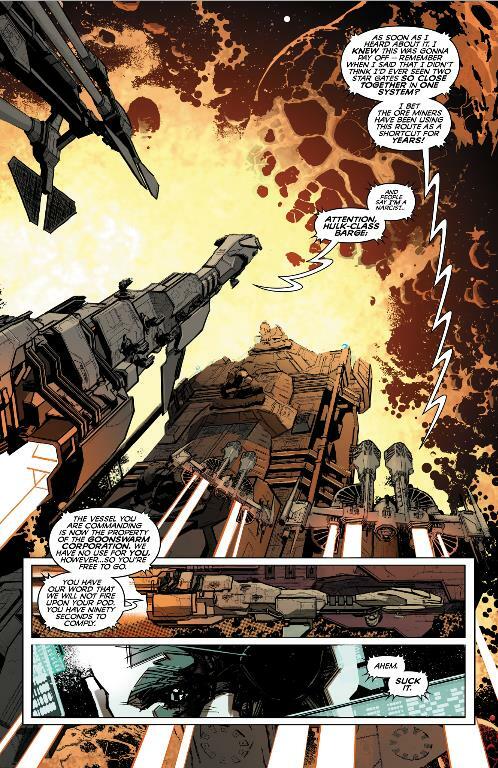 This first issue was related to Dark Horse writer Daniel Way by Alexander Gianturco, known as "The Mittani" in game. It cracks open the story of a single man that brought down one of the largest player-run corporations from the past ten years: Band of Brothers. The illustrations are great, but the story is borderline incoherent for outsiders. Yes, plenty of emergent storytelling events happen during regular gameplay in EVE Online. Sadly, if this first taste is any indication, the leap from video game to comic book is nearly incomprehensible. Plus the dialogue is barely polished Teamspeak stuff, which doesn't make for captivating storytelling either. This one's strictly for the fans. I happen to be one of them. And I sincerely hope that parts two, three, and four focus more on telling a good story rather than simply reporting on the inside baseball that makes up EVE Online's universe. 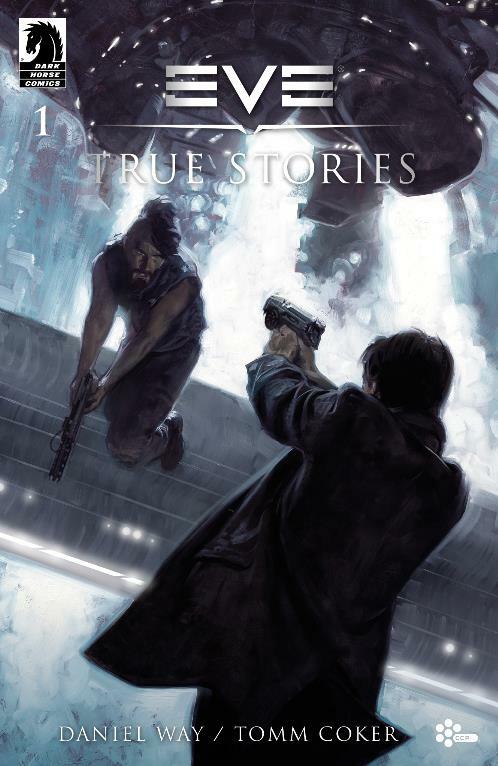 Future installments of EVE: True stories arrive on March 5, March 19, and April 2. 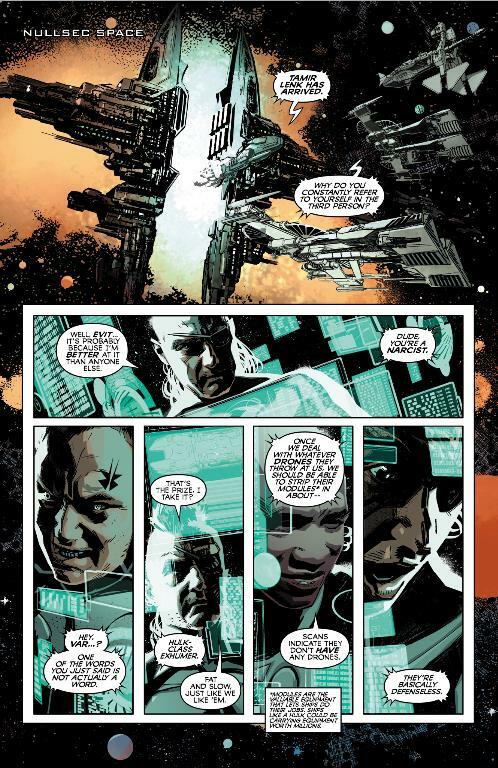 Future instalments of EVE: True Stories will arrive digitally on 5th March, 19th March and 2nd April 2014,, via Dark Horse Digital.